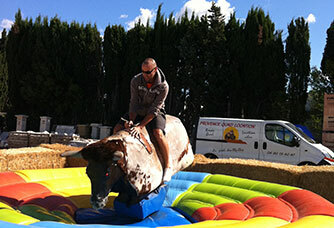 Join us at the foot of the Alpilles for an unforgettable ride in quad-bike !!! Open all year long, 7 days a week, on Sundays and bank holidays upon reservation. We’ll receive you in a warm and friendly atmosphere and we hope that all the services we propose here under will enable you to enjoy your stay in Provence. We are located at the foot of the Alpilles, in the picturesque Provençal village of Graveson, between the natural reserve of the Camargue and the nature park of the Luberon 5 mn away from St Remy de Provence, 10 mn from the Roman city of Arles, Avignon et Cavaillon less than one hour from Marseille. Absolutly unique in the region !!! from 1 hour to 4 hours to someone you like ! Scenic and discovery ride, several packages are available : from one hour to a full-day- ride. Discovery Of the Alpilles, the Valley of Les Baux de Provence and of the hill called « Montagnette » (wine tasting, lunch and visit of wine cellars upon request). Alone, in couple, with friends of with work-mates, we’ll be happy to show you the Provence under a unique point of view. For more information, do not hesitate to have a look at our pictures and videos. We do our best to ensure your security and therefore to provide you with great fun while riding our quad-bikes.All our quad-bikes are recent, perfectly well maintained and checked after each ride. We supply the safety equipment(mobcaps, gloves, helmets, glasses and rain outfits). - Rental of bicyles and mountain bikes for kids and adults. For a half day, a full day or a week. Do not hesitate to come to have a look at them !!! 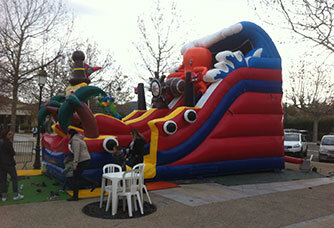 NEW : for schools, associations, fairs or simply for a birthday. We can come to your place with our inflatable circuit for children’s quad-bikes (20x10ML) and 4 to 5 mini quad-bikes together with the necessary equipment. For a half day, one or 2 days, more information at 04.90.15.40.47. See the video in the VIDEO section . At the foot of Mont Ventoux, Discover the Roman tourist sites in the massif of the Alpilles and the hillock, near the Abbey of Saint Michel de Frigolet. Discover our traditions, abrivade, enciero bull pool Camargue race, our land and our gastronomy (aioli, paella, tapenade, AOC wine, candied fruits, olive oil) Provencal. Organization of Family and tourist trails in Provence in the Regional Natural Park of the Alpilles. Provence with Quad Rental Graveson 13690. In the South of France in the PACA region department of Bouches du Rhone 13. 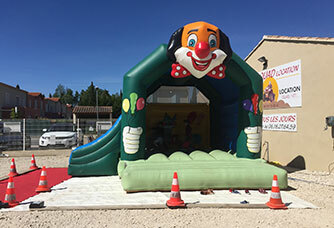 Near the Camargue, between the Rhone and the Durance, Gard, Arles and Feria rice pacques Feria, Feria Nîmes and 30, bullfights Les Saintes Maries de la Mer, Le Grau du Roi. Vaucluse, Avignon, 84, Mont Ventoux, Monteux, Cavaillon, Luberon Mountains, Isle sur la Sorgue, Marseille, Aix en Provence, Marignane (Eurocopter), Aix les Milles, Salon de Provence, Montpellier 34, the Hérault. Come Quad or offer a gift voucher Quad. 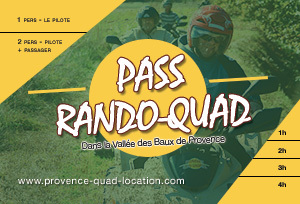 Here is a original gift idea, Pass Rando Quad, Quad offer a ride! For a birthday, Christmas, Valentine's Day, Father's Day, Mother's Day, a bachelor girl bachelor boy, a company outing season or Christmas. Call Provence Quad rental in the valley of Les Baux de Provence and the Alpilles. offers for Seminars, Business Committee, groups, individual or EC multi activity days such as: Quad Safari 4x4, Paintball, bike paths and bike, child bike, ride horse, Carriage ride, mini Quad child, rental Inflatable games, giant castle, slide, mechanical bull rodeo or mechanical, Sumo, etc ... for children and adolescents, internships Quad, mini moto for school holidays. On sale in our store Quad, quads children, bikes and mountain bikes, bouncy castle, Sym, Kymco, Yamaha and Hytrack.